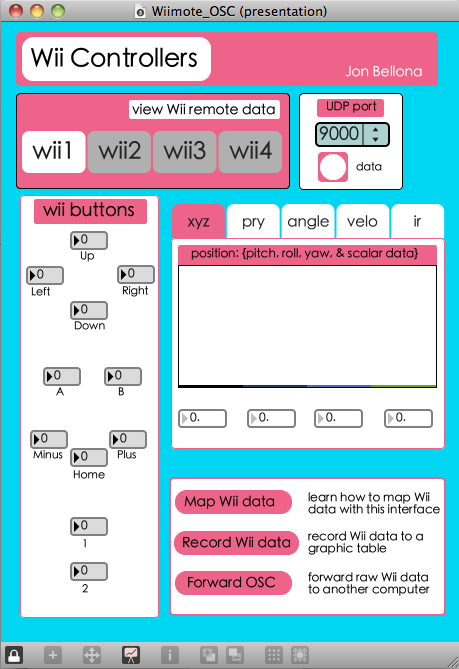 Wiimote Controllers is a Max/MSP interface for composers and artists interested in getting started with the Nintendo Wii for creative application. The interface may handle up to four Wiimotes simultaneously and is ready to use alongside OSCulator. The interface uses the CNMAT object ‘OSC-route’.